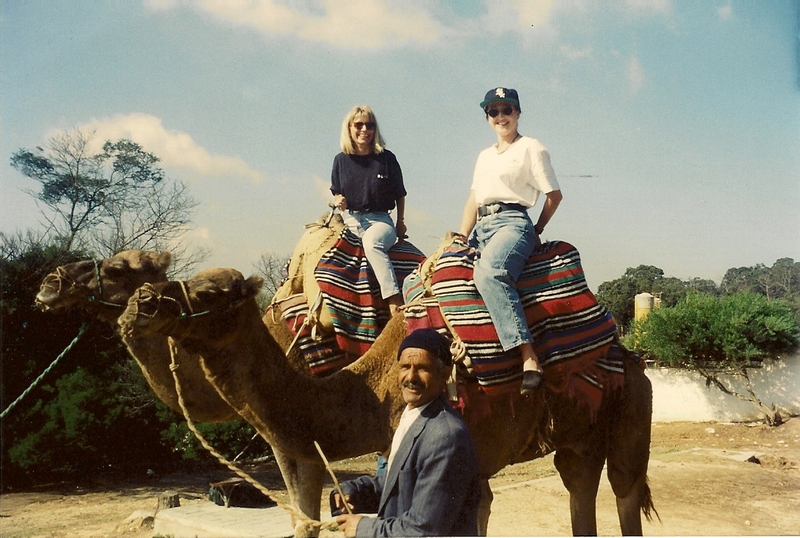 A very old photo of my roommate Julie and I camel riding on a trip to Morocco. Karina and Julie's youngest daughter camel riding. That is a one cute camel.